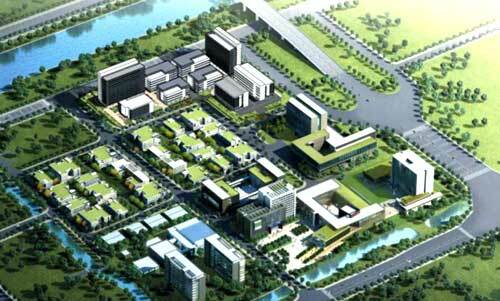 With a planning area of about 4,466.67 acres and an initial construction area of 500,000 square meters, China Sensor Network International Innovation Park (Wuxi MEMS Park) is the first national-level professional sensor network incubator in China. As one of the key innovation demonstration sites of national sensor network in Wuxi, the innovation park is specialized in promoting the industry cultivation and agglomeration for sensor network technological innovation and has brought in and cultivated 238 different kinds of technology-centered enterprises, all of which have accumulated a registered capital of 3.67 billion yuan. Some leading enterprises in sensor network industry, such as ZTE Intelligent Transportation and Collhigh, have successfully set up their offices in this park, helping to build a number of public technological platforms such as MEMS public technological service platform, EDA platform, and the wireless sensor network public service platform. Focusing on the sensor network development in China, the innovation park is striving to develop international leading sensor network generic and advanced technologies, build an industrial alliance for sensor network and strengthen industrial agglomeration.